2. Add garlic and chipotle powder andcontinue to cook for 1 minute. 3. 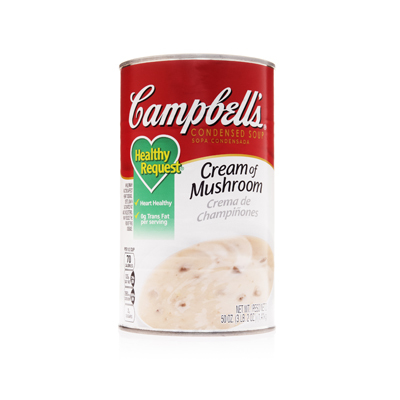 Add water and Campbell’s Healthy Request Cream of MushroomCondensed Soup. Bring to a boil then reduce heat to a simmer for 10 minutes. Use more chipotle powder if more heat is desired. If chipotle powder in unavailable, substitute cayenne pepper.